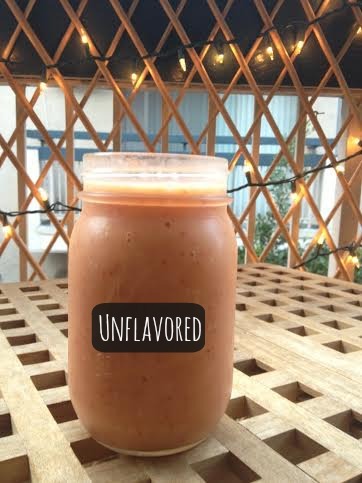 Since that time, probably almost 2 years ago now, I have religiously used their chocolate protein powder in various smoothie combinations (you can find my favorite way to drink it here). It has a great flavor and no chalky taste like some other brands I’ve tried. I have religiously stuck to the chocolate all this time because I’m just a chocolate kind of girl, and the husband has been a vanilla bean guy. He says it tastes like drinking cake batter when mixed with soy milk. It does taste really good, I am just not into vanilla in general, but if you are I think you’ll love it! 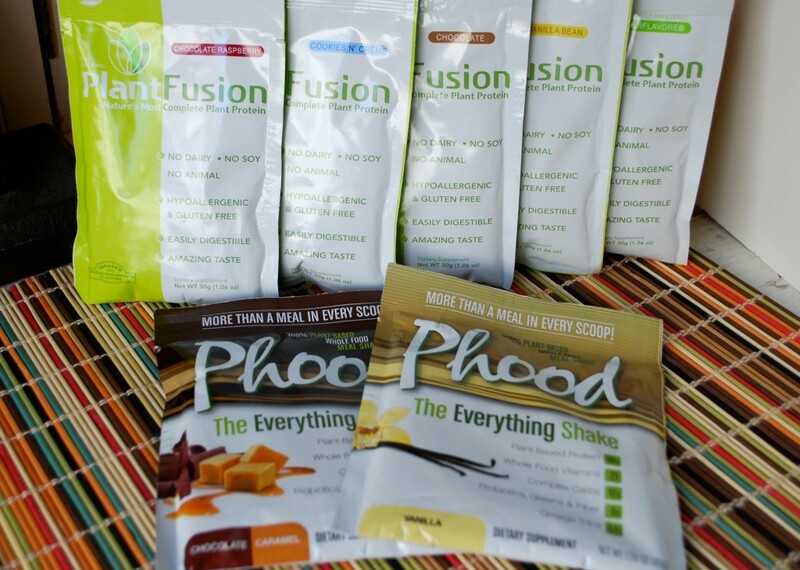 Nutritionally, PlantFusion is a powerhouse. Made from quinoa, amaranth, yellow peas and globe artichoke, one 12oz shake provides 21 grams of complete protein and is enhanced with 4500mg of branch chain amino acids. It is dairy free, soy free, gluten free and animal free. There is also a proprietary blend of enzymes to help ease the digestion process if you tend to have a sensitive stomach. 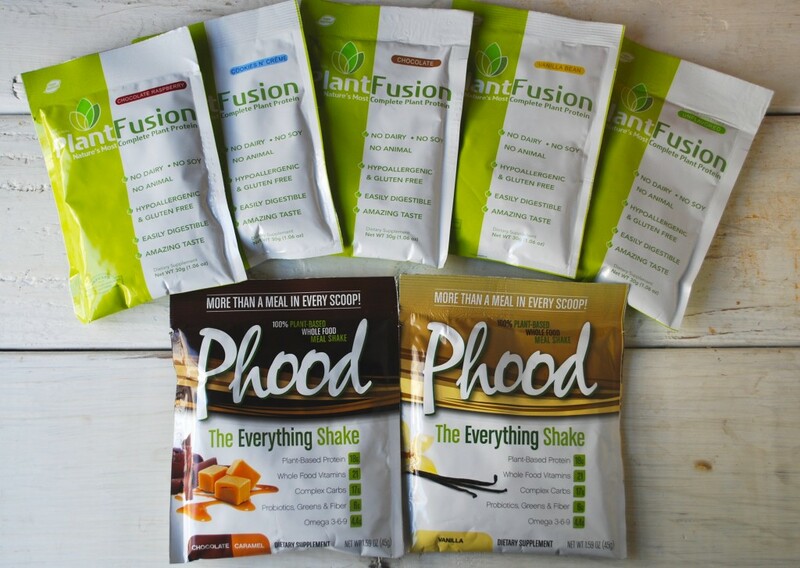 If you’re looking for a shake that offers even more nutritional support, they now make Phood which combines the protein powder with ModCar, Baobab, a multi-source essential fatty acid, vitamins, minerals and cruciferous greens for a supplemental drink that gives you everything your body needs. The company was kind enough to send me samples of all their flavors and Phood for me to try out and they are offering to send the sample pack to one lucky reader as well! So read on for my review of each flavor and be sure to enter the giveaway below! Chocolate: Y’all already know this is my favorite! Great chocolate flavor and even though I add a lot of extras to the smoothie when I make this (banana, flax, vitamineral green, etc) the chocolate flavor still shines through. 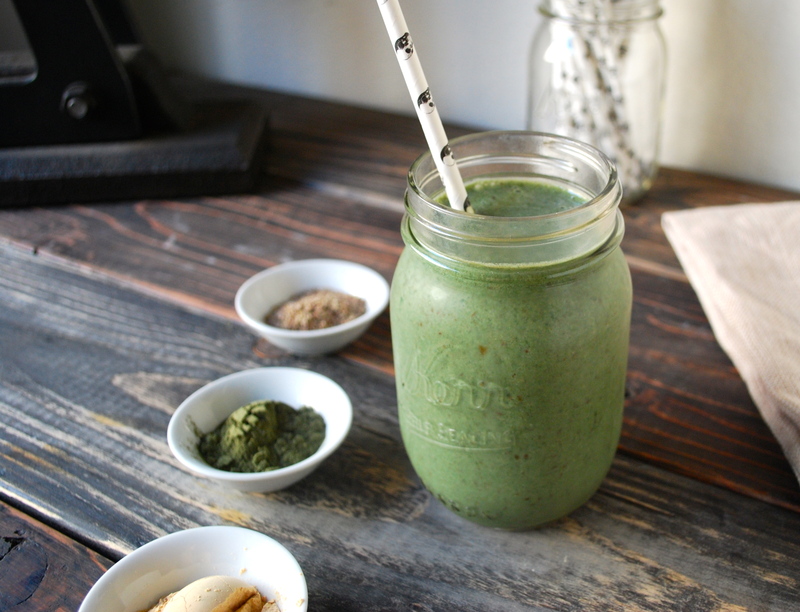 To me this healthy drink tastes like a decadent milkshake! Chocolate Raspberry: Chocolately and fruity all in one – winning! Much like the standard chocolate, blending this up with some almond milk and ice, this tastes very much like a delicious dessert shake. The raspberry isn’t too overpowering but definitely kicks up the flavor a notch. Vanilla Bean: As I stated above, I’m just not a fan of vanilla BUT that doesn’t mean this isn’t good. The husband lives by this flavor and he says “tastes like cake batter”! He usually mixes it with soy milk and berries, but I bet you could use oranges and it would take like a creamsicle! Cookies & Creme: Hello! 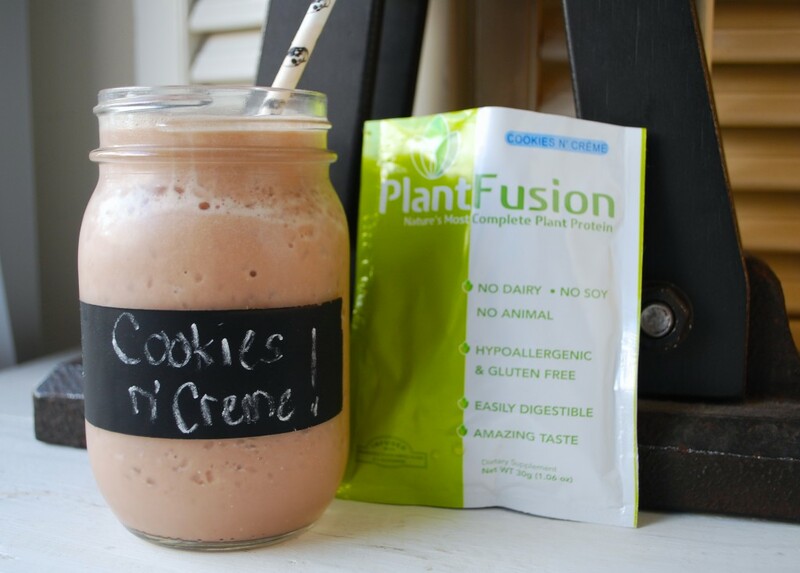 How would you like to get a huge dose of protein while drinking what tastes like melted cookies & creme ice cream?? That is exactly what this flavor tastes like! I kept it simple as this was the first time trying this particular flavor – just almond milk and ice in a blender and it is AMAZING! There is definitely a creaminess to it that I don’t taste in the other flavors. I may have to opt for this one once my chocolate runs out! Unflavored: What can you say about something that is unflavored?? The absence of flavor in this situation is actually a bonus as it allows you to be a little more creative in your concoctions. To test this one out I blended it with OJ, almond milk, banana, frozen strawberries and mangoes. The fact that the powder didn’t overshadow any of the other flavors, just gave the drink some added health benefits was a total plus in my book. Having chocolate smoothies everyday can get a little tiresome, so I like that this option opens up a ton of other possibilities! Phood Vanilla: I let the husband test out this one and he was impressed. Very similar to the other vanilla powder, but with a ton more nutrients for a complete supplemental drink! Phood Chocolate Caramel: If you’ve been paying attention so far you know I’m going to be a fan of this one as well! Again, this drink is like a special treat you would allow yourself after months of dieting, but it’s actually GOOD for you so you don’t have to feel any guilt while drinking it. The flavor reminded me of a candy bar, though it’s not overly sweet. After trying all the different options, I am an even bigger fan of PlantFusion. The variety of flavors allows you to get creative while getting a healthy dose of plant-based protein. How could you not love that?! For your chance to win a sample variety pack of your own, enter below! *Open to U.S. residents only.